The saying goes you only get one chance to make a first impression, and in business a first impression is a lasting impression, so with that in mind why not hire one of our executive cars to chauffeur you to and from meetings in Essex. You're guaranteed to get noticed as you get driven around Essex by your personal chauffeur in one of our luxurious cars. 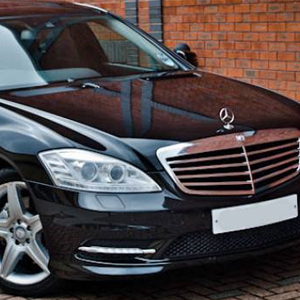 Choose from a wide range of cars to hire including a Rolls Royce Phantom, a Mercedes S Class or a Bentley Flying Spur. We have something to suit any corporate occasion, so if you are looking for corporate limo hire in Essex, make sure you get in touch with Love Limos today or browse through our wide range of motors. In business it is important that you arrive on time, so of course our staff are punctual and will always get you to and from your desired destinations within Essex safely and efficiently. At Love Limos we understand that clients can be very busy and as such drivers are happy for you to use their cars as an extension of your office, with a relaxed and friendly atmosphere you will feel at ease as you work, and when all the business is taken care of you can relax in comfort as you're driven home. Wherever you're heading in the Essex area why not give Love Limos a call on 01992 663 338 and see how we can help you as you go about your business. Wherever you're looking for corporate limo hire, business limo hire, or executive car hire in Essex, Love Limos can cater for your needs. We look forward to your call!